Yesterday was World Card Making Day! It felt great to create again, even if it's just something small. There are so many great challenges that I've been missing out on... I can't believe this is my first entry to the wonderful Lawnfawnatics Challenge! The current challenge is "Happy Little Critters" where you need to showcase a Lawn Fawn critter in your project. 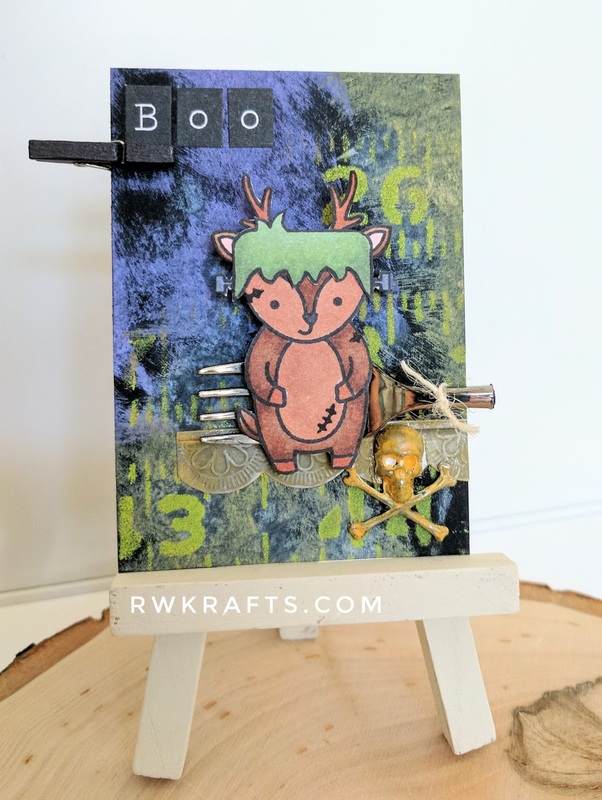 This Halloween ATC uses the little deer from "Party Animal" combined with a Frankenstein hat and stitches from "Booyah", both colored with Copic markers. The background was super cute to create. I rubbed Distress Oxide Inks Wilted Violet and Spiced Marmalade over black cardstock. Next I used the Measured stencil from Tim Holtz with some Twisted Citron Distress Paint. The final touches include the metal skull (painted with Spiced Marmalade Distress Paint), a fork (ha! ), and the Boo stickers. Wow, this ATC is so fabulous! 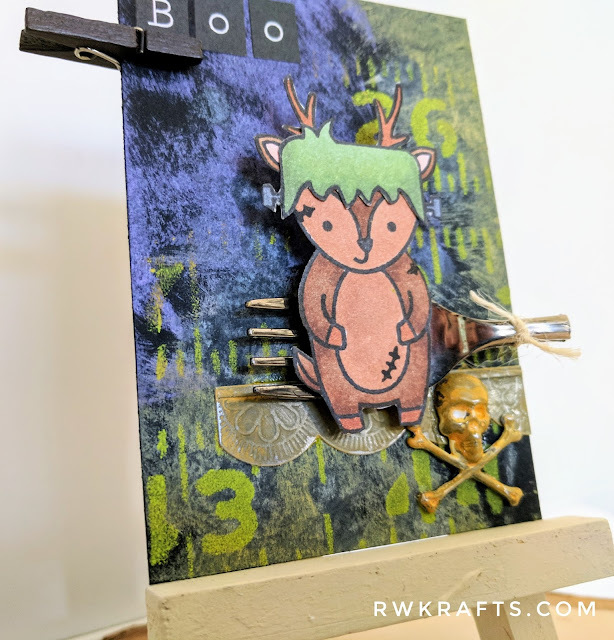 The mixed media background is amazing and I love the cute Frankenstein reindeer, so clever! I'm so happy you joined us for our Happy Little Critters challenge at Lawn Fawnatics and that you'll be back for many more!